According to the traditional Tamil Panchamgam ( Tamil Astrological Magazine) that is based on solar calendar, Chitirai (also Chithirai) is the first month, beginning on the 14th of April and ending on 14 May each year. 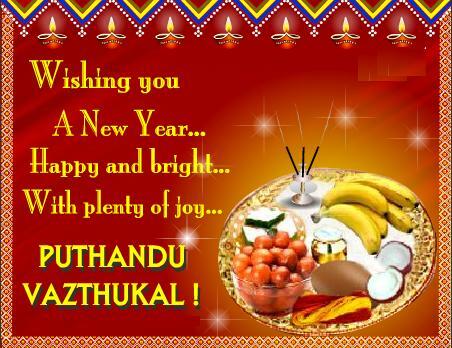 The Tamil New Year follows the Nirayanam vernal equinox and generally falls on 14 April of the Gregorian year. The first day of Chitirai is celebrated as Tamil New Year Day, hence 14 April remains a public holiday in Tamil Nadu and also in Sri Lanka. It marks Sun's transition into Nirayana Aries. Most traditional calendars of the rest of India - Assam, Bengal, Kerala, Odisha, Manipur, Punjab observe the same date in April This Tamil month is commonly referred to as the Chitirai Vishu. Surprisingly it coincides with the traditional new year in Burma, Cambodia, Laos, Sri Lanka, Bangladesh Nepal and Thailand. The traditional calendars of India and China based on the ancient system of 60 year cycle. This system of calculation is common to both North and South Indian traditional calendars, following the same name and sequence of years. One can find the earliest reference in Surya Siddhanta, which Varahamihirar (550 CE) believed to be the most accurate of the then current theories of Astronomy. Among the Tamil months, the very first month is believed to auspicious because of its close association of Hindu mythology and important temple festivals. There are references in ancient Tamil literature about the Tamil month: 01. Nakkirar, the author of the Nedunalvaadai in the 3rd century mentioned that the Sun travels from Mesha/Chitterai through 11 successive Raasis or signs of the zodiac. 02. Similarly Kūdalūr Kizhaar in the 3rd century made reference to Mesha Raasi/Chitterai as the commencement of the year in the work Puranaanooru. 03. The oldest Tamil grammar the Tolkaapiyam divided the year into six seasons where Chitrai was the beginning of the Ilavenil season or summer (in Tamil Kodai) and 04. According to the most important Tamil literature of the 8th century Silappadikaaram, written by Ilangovadikal, the 12 Raasis or zodiac signs starting with Mesha/Chitterai. The very first month Chitrai is followed by Vaikasi. In the northern states and also in states like Andhra and Kanataka, Chitrai month coincides with Chitra and Vaishakam . 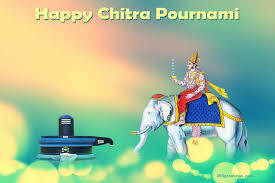 Chitra Pournami & Varusha pirappu are the most important festivals in this month. 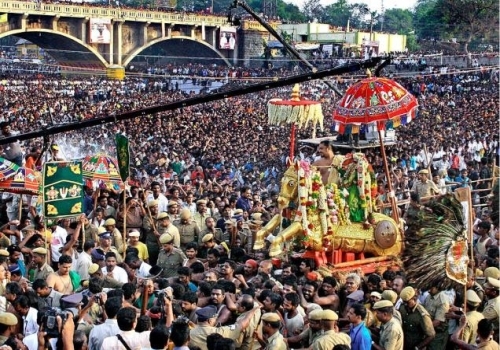 Famous Chithirai Thiruvizha is celebrated in Madurai Meenakshi Amman temple. 01. Lord Sri Rama was born in this month- Suklabaksha navami. That day is celebrated as Ramanavami - the birth of Sri Rama across India. 02. We celebrate Matsya Jayanthi (Chaithra suklabaksha) in this month. Lord Vishnu took the avatar of Matyam (fish). Matsya, the fish, from the Satya Yuga., Vishnu takes the form of a fish to save Manu from the deluge (Pralayam), after which he takes his boat to the new world along with one of every species of plant and animal, gathered in a massive cyclone to start the life afresh. This is similar to the great deluge mentioned in the Bible and the great role played by Noah. 03. According to Puranas. Goddess Mahalakshmi visited the earth from Vaikundam in this month - on the day of Suklabaksha Panchami. On this day, if people do Lakshmi Puja, they will gain wealth and good life. 04. On the Chitra Pournami day, Chita Puthra was born. According to the Hindu mythology, he is the one who keeps a record on the sins and good deeds committed by the people living on the earth. 05. Puranas mention that the Lord Brahma, the Creator created the earth on the very first day of Chitrai. 06. Worshiping of Goddess Parvati(consort of Shiva) on Suklabaksha Friday is good for the entire family. It will bring in happiness ans contentment. 07. In order to be prosperous and get success in business, it is strongly advised to worship God Kubera's wife Chitra Devi in this month. 08. In the month of Chitrai, on the day of Bharani Nakshatra, it is advised to pray to God Bhairava and undertake fasting. The strong belief has been that people can go past the impediments easily and get the enemies out of the way. 09. In this month doing Lakshmi Narayana Puja on the Moola nakshatra day will help the devotees fulfil their desires without any hitch. 10. Whoever gives free buttermilk to the thirsty people can get rid of their sins committed in the previous generations. By the same token, if a devotee offers sweet buttermilk, he will have Vaikunda propthi (heavenly abode). 11. At Thiruchendur Murugan temple, in SE Tamil Nadu on the first day of Chitrai, Annabishekam will be done. Worshiping the procession deity of lord Karthikaya 9muruga) on the temple premises will be good for the entire family and it will be a blissful experience. 12. Worshiping of Chitra Gupta in this month is essential and will be useful for your improvement because it will get rid of your Kalathra dosham (delay in wedding), puthra dosham (lack of child), vidhya dosham (lack of education), etc. procession of Goddess Meenakshi and celestial wedding of Sundareswarar and Goddess Meenakshi take place in the first week of May. Tens of thousands of people attend this major temple festival. It is an important temple event in South Tamil Nadu. 15. 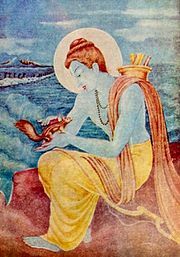 The Ramayana has close association with Chitrai month, according to the great sage Valmiki who wrote the Ramayana. In this month, queen Kausalya gave birth to a son at the best astronomical time - on the ninth day of the lunar month Chaitra (March–April), a day celebrated across India as Ram Navami. This coincides with one of the four Navaratri on the Hindu calendar, in the spring season, namely the Vasantha Navaratri. 16. On the Tamil new year day, doing tharpanam (praying to forefathers/pithroos) is an important religious undertaking among the devout Hindus. 17. Since the Tamil new year day - first day of Chitrai happens to be Sankadahara Chathrthi, worshiping of Lord Ganapathy at home is essential and this puja will help you sail through the tough periods in your life. 18. Since Sevvai (Mars) is the patron planet of this Tamil year, worshiping this Navagraha Nayagan is said to be useful. Further, devotees are advised to visit any of the six shrines (Aarupadai Veedukal) dedicated to God Muruga for prayer and worship. It will be beneficial to the family, its welfare and peace of mind.